Getting in shape is a common new year's resolution. 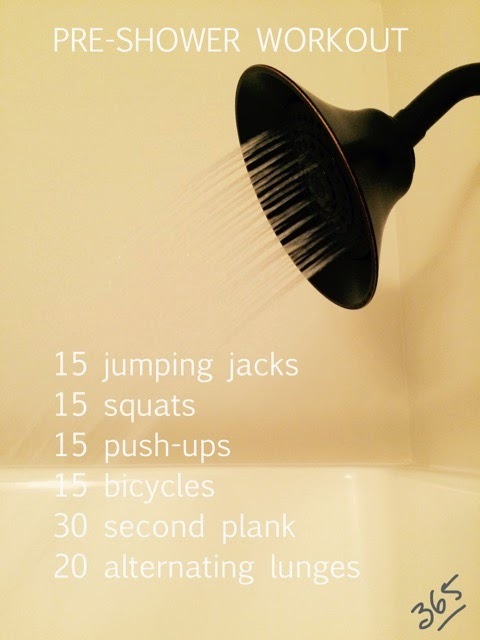 One recent pin-worthy item making the rounds is a pre-shower workout routine. Sometimes just the thought of facing a strict one hour, six days a week workout can seem daunting. However, a quick five-minute circuit on days that you can't make it to the gym can help prevent a total derailment of your fitness goals! This is the very simple four step routine, plus some jacks and lunges. This entire routine takes just under five minutes!